Myron is dedicated to providing high-quality promotional products that will help boost brand awareness for your business. There are customized items for every occasion imaginable and everything is backed by Myron’s risk-free 100 percent satisfaction guarantee. Using these great promotional items will give your business a leg up on competitors by showing that you care about your clients. Myron products also demonstrate that your business is dedicated to providing the best quality in everything you do. 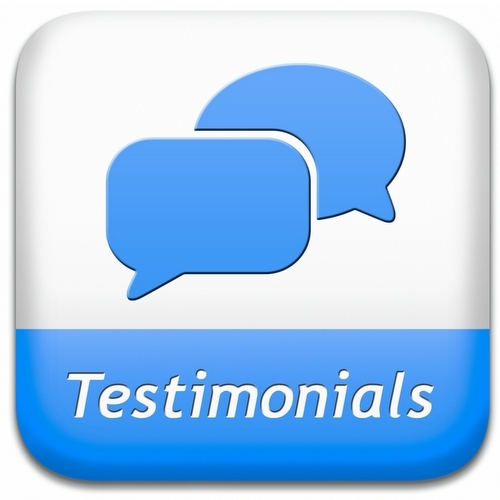 However, don’t just take our word for it, here are what some Myron customers had to say about their experience. Pens and keychains are classic handouts, but small businesses can also offer clients unique and useful products. There are items for many industries, including real estate, automotive, hotel, government and nonprofit. Construction companies have found objects like the 5-in-1 Multi-Tool to be great business boosters. Greg offers to replace the tool if his customers lose it, and he’s found that his repeat business has increased with the use of this promotional product. The multi-tool and similar products are great options for electricians, home improvement stores and more. Companies who are looking to set themselves apart from the pack in their community should make use of customized items. Giving out pens or notepads is a small gesture, but it shows that your company values its clients. Andrew gives Bel Arte pens to his customers and has found that it keeps people coming back to his business. The products he purchases from Myron have helped him to set his company apart from competitors and increased his referrals. Myron offers lots of choices for branded products, but some of the most popular items are the desk planners and pocket calendars. These products serve as a year-round marketing tool for small businesses and leave a lasting impression on customers. Bruce explained that many of the company’s partners look forward to receiving a new batch of calendars each year. These items are a great choice for just about any company, as they can be customized and come in a variety of styles and price points. Giving your customers a useful promotional item will ensure that you stay on their minds even once they leave your store or office. Dr. Thomas A. has found that Myron’s flashlight key rings are beneficial to his patients, especially the children. One child in particular uses his flashlight to calm his nighttime fears.